We love with this poster and so does just about everyone we show it to! 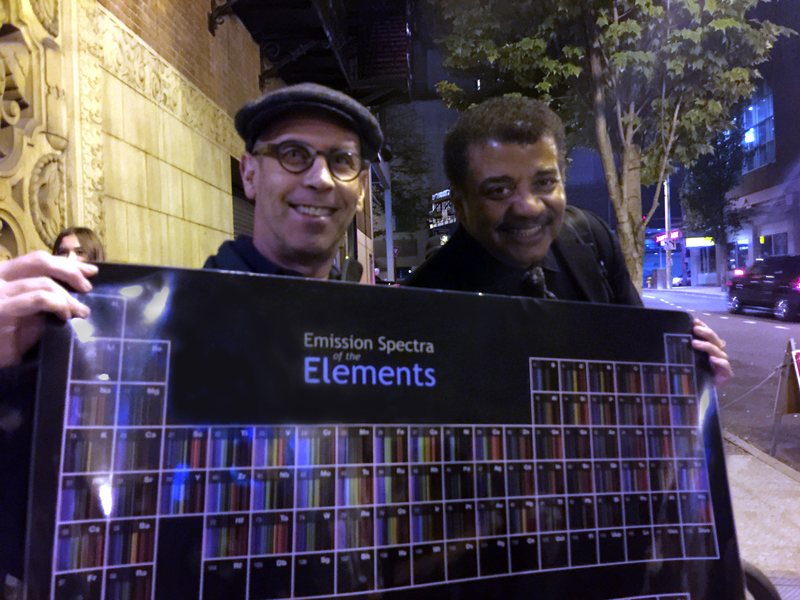 This gorgeous Emission Spectra of Elements poster clearly shows that each element has its own spectral fingerprint. The poster is 24″ x 36″, laminated, and printed in high-resolution with brilliant colors. Also, makes a great gift to a colleague or office-mate! US shipping is $10.95 via USPS Priority Mail. Delivery time 2 to 3 days. Up to 3 posters fit in one mailing tube so shipping cost is the same for up to 3 posters! For more economical shipping in the US, order a poster but include no other products in the order. When you check-out, you’ll see an option for shipping via USPS Media Mail mail for $6.95. Transit time is 2 to 3+ weeks. To order in the US: link. Un-laminated version: Poster price: $29.95. International shipping is $6.95 for each un-laminated poster. Order: link. Laminated version: Poster price: $29.95. International shipping is $30. We can fit 3 posters in one international mailing tube so shipping cost is the same for up to 3 posters. Order: link. Contact us for quantity pricing for 6 or more. Purchase with credit card or PayPal in our store (link) or PO sent to us via our contact form (link). Accredited institutions can purchase via a PO sent with our Contact form: link. 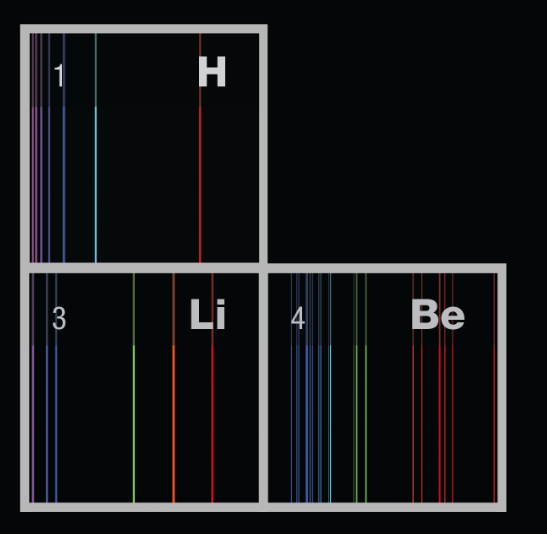 Above: Close-up of the the poster, showing the Hydrogen Balmer series. Can’t live without spectra? 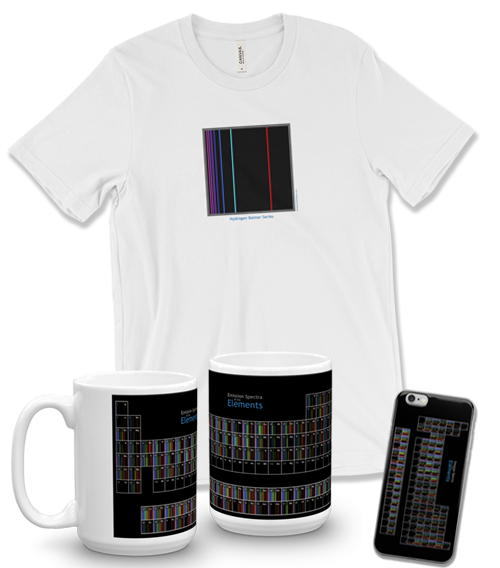 Check out our swag: link. Questions: use our Contact form: link.